Sard Wealth Management gets all the pieces working together to synchronize all areas of your financial life. You’ve worked your entire career to establish the foundation for your future- the Sard Wealth Management team has devoted their careers to maintaining it. Secure in the knowledge that the team of professionals at Sard Wealth Management is building a future with your goals in mind. At Sard Wealth Management, the foundation of our client relationships is trust. We back up words with action, and guide you along each step of the decision-making process. Rest easy. The Sard Wealth Management team knows your needs and is working hard for you every day. We guide our clients in making informed financial decisions through education, proactive communication and unbiased advice, allowing them to achieve financial peace of mind. We listen and communicate with our clients. Sard Wealth Management Group opened its doors in 1992 to offer independent, comprehensive financial advice. As a Registered Investment Advisor, our commitment is to our clients and to providing advice tailored to suit their individual goals. As a Certified Financial Planner™ professional, Jonathan Sard subscribes to the highest standards of competence and ethics in the financial planning field. Sard Wealth Management strives to develop long-lasting relationships with all our clients in order to effectively anticipate and act upon your financial concerns. We maintain a small group of select clients, assuring the highest-caliber individual attention and service. We believe you should be a partner in your financial well-being. To the extent you desire, you will become more educated through ongoing meetings, reviews, economic updates, newsletters, email updates, and client events. You will hear from our office on an ongoing, regular basis, oftentimes before you set out to contact us. Unlike many advisory firms, our recommendations are not limited to your investments, but your entire financial picture - we take a comprehensive approach toward managing your wealth. The advantage of an independent firm is the personal connection and trust you're able to build with a financial advisor. You will rest assured in the knowledge that you are working with a firm who truly knows you, cares about you, and is building a long lasting relationship with you. We want to be the last financial advisory firm you ever work with. We are committed to guiding our clients to peace of mind with informed financial decisions based upon communication, education, and unbiased advice. Our belief is that education and understanding are vital to making prudent decisions regarding your financial future. Through proactive communication, our clients can cope with the barrage of headlines and rest assured that their financial well-being is in good hands. Discover the advantage of utilizing an independent, unbiased financial management team. By maintaining a small group of select clients, Sard Wealth Management offers unparalleled personal service and attention to detail. Jonathan Sard is consistently recognized by others in his field, offering financial analysis and advice in a variety of publications, as well as in classrooms and workshops for working professionals. The Five Star Wealth Manager designation is based on a voluntary survey and thus is not intended to represent the entire universe of advisors. Wealth managers are evaluated based on one-year and five-year client retention rates, number of client households served, and education and professional designations. Discretionary accounts may or may not be used by the wealth manager and it is at the clients’ option. The Five Star Award is not indicative of the manager’s future performance. The inclusion of a wealth manager should not be construed as an endorsement of the wealth manager by Five Star Professional. The designation is presented to no more than 7% of the wealth managers in a given area. Although there is no fee for being nominated or winning the award; once the award is received, certain marketing fees may be paid to Five Star Wealth Manager for use of their name in the designation. Financial Advisor Magazine’s TOP RIA list includes registered investment advisory firms that provide financial planning and related services to individual clients. All firms must be either independently owned or be a freestanding subsidiary of another business. Firms are ranked by total assets under management. Sard Wealth Management Group, LLC ranked 8h in our size category. This is a voluntary survey and thus may not accurately represent the entire universe of advisors (e.g. those who chose not to participate). The 2011 Annual Top Wealth Managers Survey received surveys from some of the nation’s largest independent wealth management firms. The respondents collectively manage $330 billion in assets under management (AUM), service 175,000 clients and employ 6,780 people. Firms are ranked on average assets under management per client for the annual ranking. Sard Wealth Management Group, LLC ranked 344th. A total of 371 companies were included in the rankings. This is a voluntary survey and thus may not accurately represent the entire universe of advisors (e.g. those who chose not to participate). 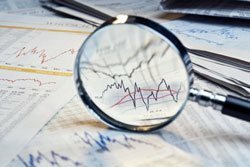 The primary focus of NABCAP, a nationally registered 501(c)(3) nonprofit organization, is to serve the needs of the investing public by helping identify top wealth managers. 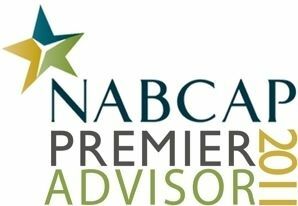 NABCAP’s methodology is unique in deciphering advisors because it is primarily objective, not subjective and helps add transparency for the investor’s benefit. Alternatively, NABCAP attempts to identify top advisors regardless of size, firm or channel they are affiliated with. Distinguishing characteristics of an advisory practice will include in part, though not exclusively – team dynamics- who comprises the team, years of experience, credentials/Designations, average AUM per client, planning philosophy, investment philosophy, risk philosophy, fee/cost structure, customer service, U4/ADV status. At Sard Wealth Management, we help you manage the interaction among all areas of your financial life to provide a holistic plan. We are fully licensed and experienced to assist you in the areas of Investment Planning, Retirement Income Planning, Insurance Planning, and Tax & Estate Planning. As securities representatives we do not give tax or legal advice. These matters should be discussed with your legal and tax advisors. 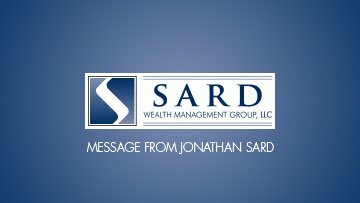 Advisory Services offered through Sard Wealth Management Group, LLC. We are properly registered or meet a filing exemption to provide Advisory services to residents of all states at this time. Securities offered through Securities Service Network, LLC, member FINRA/SIPC. FINRA Brokercheck. Due to various state regulations and registration requirements concerning the dissemination of information regarding investment products and services, we are currently required to limit access of the following pages to individuals residing in the following states: AZ, CA, FL, GA, IL, LA, NC, SC, VA.